DBL Sharks Sheffield end Newcastle’s title ambitions. 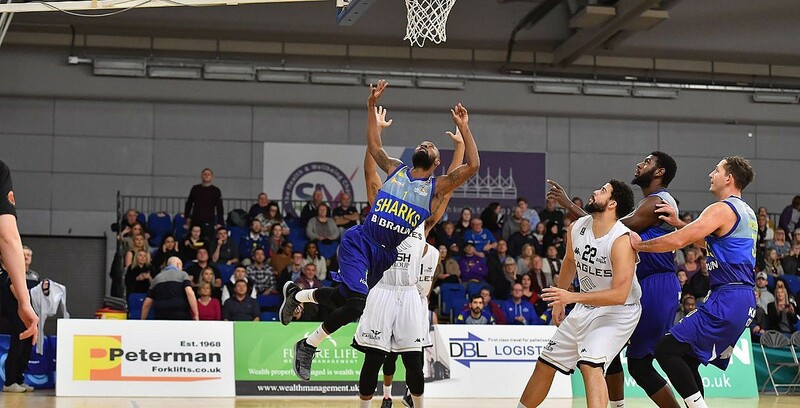 DBL Sharks Sheffield put an end to Esh Group Eagles Newcastle’s winning run at home with a hard-fought victory. The Sharks boost their benecos BBL Play-Offs chances by moving to 16-14, while the Eagles drop to 20-10 as both sides enter the final two weeks of the regular season. Turning point – The Sharks never trailed in the contest and looked in command at 63-74 inside the final three minutes. However, the Eagles went on a 9-0 run and had possession with a chance to tie the game before a turnover proved costly and Sheffield ended their drought to close out the win. Key stat – Sheffield were very efficient from 2-point range, shooting at 61% with 48 of their points coming in the paint. Game hero(es) – Williams was a perfect 9 of 9 from inside the arc as part of an impressive 26-point haul in the win, while Marsden was the only other Shark in double figures with 14 along with 10 rebounds for a double-double.